Reid had been held in the Buffalo Federal Detention Facility for two weeks. Baxter Reid, 26, was detained while trying to get into Canada to fulfill his visa conditions. 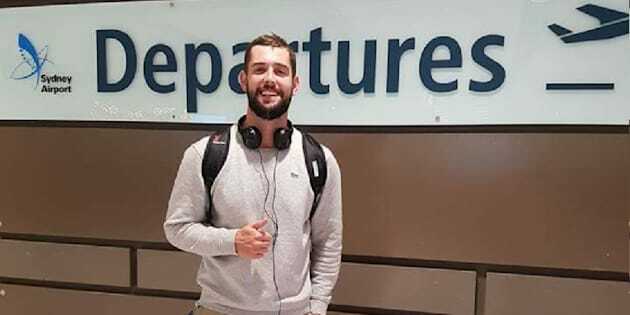 Australian man Baxter Reid, who said he was arrested by U.S. immigration officials for overstaying his visa by less than two hours, has been freed. Reid had been detained at the Buffalo Federal Detention Facility in upstate New York for the past two weeks. Immigration Judge Steven Connelly has given Baxter Reid 120 days to leave the country, according to Fairfax Media. The 26-year-old Canberra man was staying in the United States on a B1/B2 five-year visa, a condition of which was that he left the country every six months. Reid said he was attempting to cross the U.S. border into Canada with his American girlfriend Heather Kansco on April 24 in order to fulfill this visa requirement, but Canadian authorities denied him entry at the border. He said his visa was due to expire at midnight that night. He was held by Canadian border authorities until 1.30am, which meant that when they sent him back to the United States he was arrested for overstaying his visa. Reid's girlfriend, Kansco, told the Canberra Times that Canadian authorities were worried that, if he entered Canada, he wouldn't be allowed to return to the U.S, making him Canada's "problem". "He was let out," Reid's brother Alexander said of his release. "He's not deported or anything like that, so he can come and go," he told the ABC. "He's in a good mood. He doesn't have to go to court again. He's done." Kansco had set up a GoFundMe page to help raise money for his legal fees, which had raised $10,065 towards his legal costs as of Thursday. It's not clear what will happen to the donations now that Reid has been set free.